Loading your kayak on the roof of your SUV or vehicle can be difficult if you’re alone and especially when the kayak is heavy. However, you can use kayak loaders to make the loading process easier for you. In this article, we’ll guide you on how to choose the best kayak loader and let you know how they can help you on your next kayak camping trip. The Rhino Rack Universal Side Loader is designed both for kayaks and canoes. This kayak loader for a SUV is designed to help you load your kayak on top of all types of SUVs and vehicles with roof racks. It works by attaching itself to your roof rack and extending to the side to provide you with a platform on which you can rest one side of your craft. You can lift the other end of your vessel and slide it over on your roof rack, followed by the other end that’s being supported by the kayak roof loader. 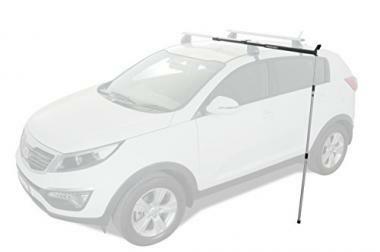 It’s a one person kayak loader integrated with load stop to prevent load from sliding off the bar and features cross bar clamps to suit all popular kayak roof racks. Reese Towpower 7018100 canoe loader is designed to load or unload a vessel or canoe on the car equipped with a kayak trailer hitch. To load your canoe, place one end of the kayak on the crossbar and then pick up the other end. Tie around to the front of the car and secure your canoe. The canoe loader will swivel allowing for easy movement while supporting one end of the canoe. It has an adapter mount that makes towing a kayak easier when using the loader. It also has an adjustable hardware that fits most SUVs and vehicles. Seattle Sports is used to load canoes and kayaks on most cars using the heavy-duty strong suction cups and aluminium bars that mount reliably to car glass or car tops with two different mounting angles. 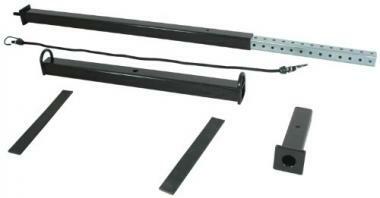 With levers to lock the suction cups into place, you can install the boat roller and also remove it quickly. Mount the aluminium bars by flipping the lever on the suction cup, then settle the stern or bow of your boat onto the rollers as you rest the other end on the ground. Move to the opposite end of your boat then lift and roll while sliding your boat into place on the bars, foam blocks or cradles. When you’re through, flip the levers on the suction cups. 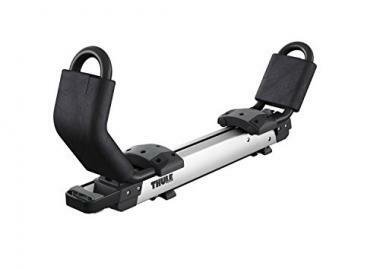 This kayak roller loader eliminates the struggle for solo car top boat loading. It has closed cell that foam gently cradles boat when loading and unloading to prevent scratches. The Yakima – BoatLoader is a telescoping kayak assist loader for both canoes and kayaks. It’s built to work with Yakima round crossbars that are designed to fit inside your crossbars. This kayak side loader extends 28 inches from the end of the crossbar allowing you to load one side of your craft in order for it to be supported by the kayak roof loader. This enables you grab the other end of your vessel to load it up on your roof rack. It’s corrosion-resistant and protects canoes, kayaks and your vehicles from scratches. Thule 898 Hullavator Pro is a gas assisted kayak loader making it easy to load and unload the craft. You can tie down your craft securely to the rack while it’s at the side of your car at waist height because it’s designed with wider cradles that accommodate bigger width hulls of up to 36 inches wide and 75 lbs. The gas lift technology means that after loading your vessel on the cradles on the side of your car, all you need to do is push up from underneath the cradles and the Hullavator Pro will take 40 pounds of your vessel’s weight as it lifts your kayak on the roof. This kayak loader assist includes two center straps with car-protective buckle bumpers and QuickDraw bow downs. The straps are for strapping a kayak to a roof rack to a roof rack. Malone Stinger attaches to the rear SeaWing saddle to make loading a craft easy. It’s designed with a polycarbonate corrosion resistant frame to extend its life while the Stinger’s padded frame protects your vehicle and kayak finish. When you want to load or unload your boat, extend the Stinger outwards over your vehicle’s back. Place the craft’s front on the integrated slide guides then slide the craft forward until your craft is positioned on the front and rear SeaWing saddles evenly. 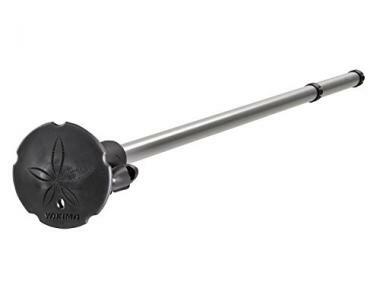 The Stinger extends up to 22 inches giving you the required extension to load and unload your craft conveniently. The cradles of this one person kayak loader are sold separately. 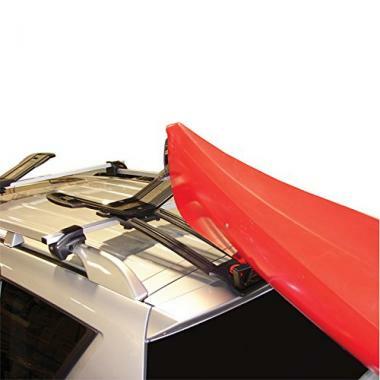 Gas lift technology will make it easier to load heavier kayaks on the roof of your vehicle. If you’ve a SUV, a taller vehicle or struggle lifting your craft above your head, gas assisted kayak loaders will take some of the weight off the craft as you lift it up to the roof. A side loading is easier when loading a kayak onto your roof because it lets you stand close to your car. A self kayak loader rack for sedan is the best when loading from the rear because mounting is more difficult due to an extended trunk. You’ll need a kayak loader rack for sedan and rollers because you’ll be forced to stand at a greater distance from your roof rack when loading. Q: What Is A Kayak Loader? A: A kayak loader is an important tool when it comes to kayak transportation. 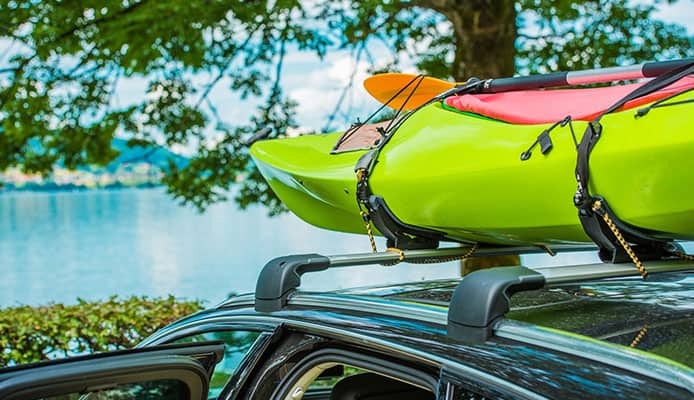 It’s designed to help you load your craft on the roof rack on top of your car and lift load without lifting the entire weight of the kayak. Car loaders aren’t roof racks but work in conjunction with kayak roof racks. They help take the weight of the craft while you lift it up car’s roof. There are different types depending on your loading preferences. Some provide a load support allowing you to load one side of the craft while others are gas assisted which take the weigh off usually from your vehicle’s side. Q: What Are The Advantages Of Kayak Loader? A: Kayak weight is around 100 pounds, having this in mind you’ll need a kayak loader to help you mount it on top of your car without lifting the full weight of the craft. 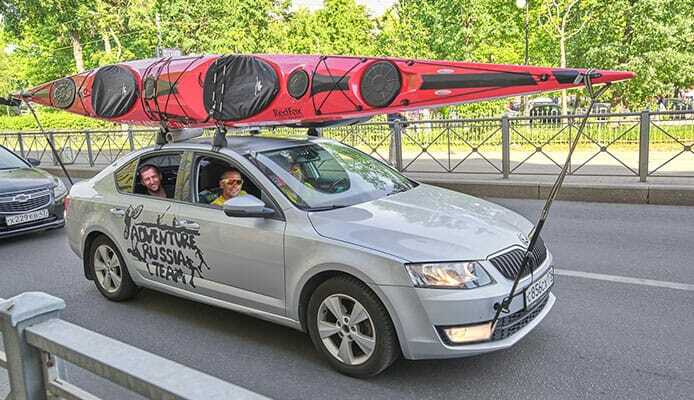 It will also help you get your kayak to the height of your roof and load it easily if you’ve a tall vehicle such as a SUV. 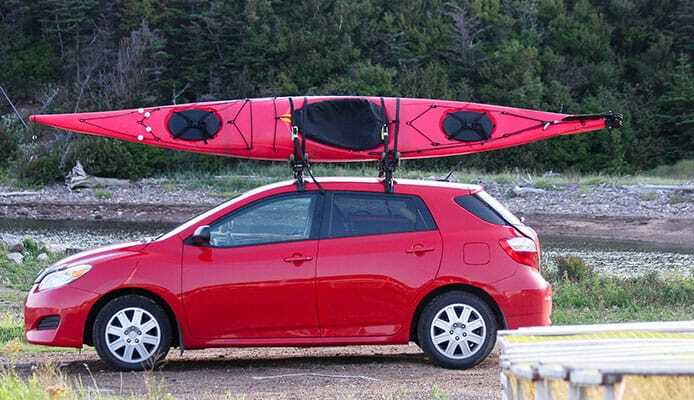 Kayak loaders are essential for loading your vessel on your roof rack if you’re alone no matter the type of car you drive. They can also help you load fishing kayaks or canoes that are heavier and make your kayak adventure enjoyable.